In case you missed this recent UBC Library event, Dr. Chu presented an exploratory study investigating the use of social networking tools in academic libraries. The study examined reasons for using or not using social networking tools, the length of usage, and the perceived benefits and costs of using these tools. The study also offers insights for academic librarians to make informed decisions in applying social networking tools. 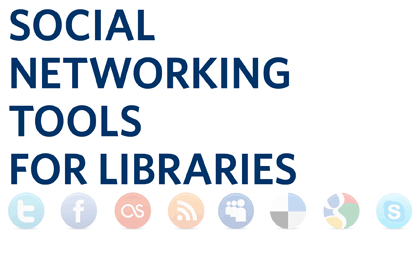 Some examples of these social networking tools used by libraries included Facebook, Instant Messaging (IM), Twitter and LinkedIn. This presentation is now available in the Library Events collection at: http://hdl.handle.net/2429/42260. To browse through other Library events in this collection, just click on the following link: http://hdl.handle.net/2429/42260. One of the most viewed items in the Library Events collection is a presentation that was part of UBC’s First International Open Access Day event back in October 2008. In support of the open access movement, the UBC Library joined with SPARC, PLoS (Public Library of Science), and Students for FreeCulture along with 65 other institutions in celebration of this worldwide event. You can listen to this presentation in cIRcle at: http://hdl.handle.net/2429/2750.